Welcome to Ballard Pediatric Clinic! Measles Outbreak 2019 Information: click on the link to our blog in the yellow box. 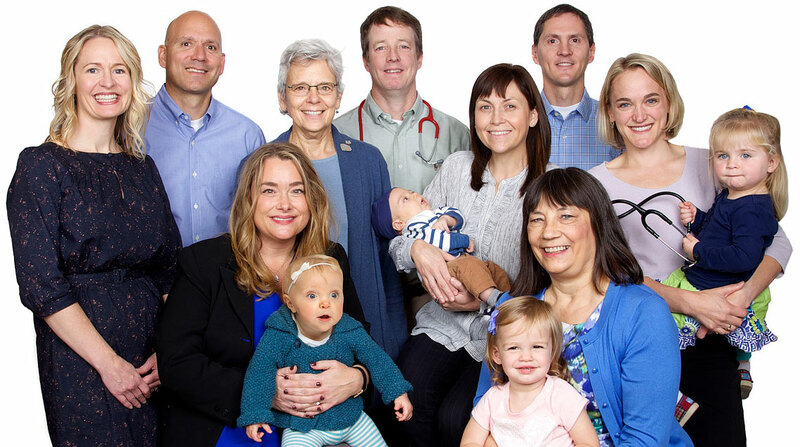 Ballard Pediatric Clinic is a private, physician-owned, pediatric practice that has helped take care of the children and families of Ballard and its surrounding neighborhoods since the mid-1960's. As Ballard has grown, so has our practice. Today, we are a group of nine primary care, board certified pediatricians who enjoy providing high-quality, family-centered care to children from birth to 18 years old. Our website has been developed to provide our patients and their families 24-hour access to information about the clinic, to answer commonly asked questions about pediatric health concerns, and to provide links to health resources we consider reliable. Information given in this website is not intended to replace medical care provided by one of our physicians. We hope you will give us the opportunity to care for your child and to serve your family. For the most recent updates and current events, please monitor our BLOG. EFFECTIVE MAY 14, 2018 OUR PHYSICIANS ARE NO LONGER ABLE TO ROUND ON NEWBORN BABIES AT THE HOSPITAL. YOUR BABY WILL BE SEEN BY A HOSPITAL CLINCIAN AND THEN WE WILL SEE YOU AND YOUR BABY IN THE OFFICE FOR YOUR BABY'S FIRST NEWBORN VISIT. CONGRATULATIONS! Click for the most current clinic announcements! Disclaimer: The articles found in this box are from Barton D. Schmitt, MD and the AAP and not information the providers at Ballard Pediatrics wrote. Please use these articles for information only and not for a diagnosis.